Canada recently has been doubling down on two areas of global concern, highlighting its ongoing governmental rhetorical double standards. I had noted previously the twitter spat between Canada and Saudi Arabia. After the Saudis were insulted/enraged by Foreign Minister Chrystia Freeland’s tweet concerning the sister of a Saudi journalist, the Saudis kicked out the Canadian ambassador. Since then the murder of Jamal Khashoggi has further muddied the waters of Canada’s foreign policy. Canadian politicians pride themselves in being guardians of “Canadian values”, one of which is its support of humanitarian principles throughout the world. When that attitude is compared to what Canada actually does, it does not hold up very well. In the current case with Khashoggi, it has presented a large conundrum for the government. Canada’s government is very upset about the murder of Khashoggi in some manner probably by a Saudi hit team in the Saudi consulate in Istanbul. However they are not quite sure how upset they should actually be. Canada had signed a $15 billion armaments deal with the Saudis to supply them with 928 light armoured vehicles (LAV), later reduced to 742 LAVs. Now, while jumping on the Khashoggi distress train, they are unsure what to do about it and express that in a variety of not very coherent arguments. The main argument is simply cancel the order as it will assuredly be used in a military fashion against civilians, in particular in the war torn country of Yemen. But…then come all the buts…it has a cancellation clause that will cost us billions…it has a non-disclosure clause…it will cause Canada to lose 3 000 jobs…we closely monitor our sales of arms…it will wreck our business climate…it will ruin our reputation. None of these stand up to the criticism about Saudi human rights abuses, mainly centered on the amount of killing they are doing in Yemen, let alone their terrible domestic record. So I have to ask the government, to ask PM Trudeau, Finance Minister Bill Morneau, and Foreign Affairs Minister Freeland, what is the price that is too heavy to pay? Consider that the majority of the Yemen population is now subject to disease and famine, is that not a significant consideration in this deal? Are the 3 000 Canadian jobs (but no deaths) equal to the tens of thousands of mostly civilians killed in the Yemen war, a war sponsored in large part by the U.S. – and thus implicating Canada as our foreign policy follows theirs? Maybe it is a bit pricier, as the billions of dollars in contract default penalties would make it not worthwhile to stop the sale, to stop the killing? Perhaps we are heading for a Madeleine Albright moment, whom we are proudly going to outdo, as she says that killing 500 thousand Iraqi children was worth the effort in defeating Iraq? Heck, at the rate Yemen is going, we could do a million…. If Canada were truly interested in humanitarian concerns, the contract would be cancelled as the cost to Canada is negligible, almost non existent compared to the cost of tens of thousands of Yemeni lives. The fallout from the Saudis could be dealt with later and from what little trade we already do, would have little repercussion on the economy, or our reputation other than to improve it by showing that Canada puts humanitarian principles ahead of killing others. The issues on global change at the moment are mostly domestic but it is a global issue with global impacts. The Canadian government recently bought the Kinder Morgan pipeline in Canada from its U.S. parent company, intending to double the pipe’s capacity in order to ship bitumen – tar sands – dilbit – call it what you will it is essentially unrefined tar such as used for roofing and roads – to Burnaby from the Alberta tar sands operations. 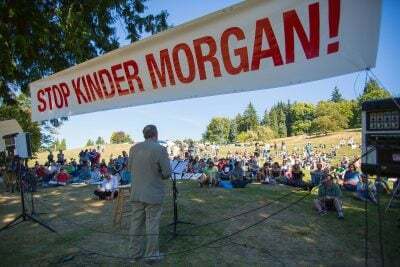 The Kinder Morgan shareholders were quite happy to sell the pipeline as the Canadian courts had ruled the procurement process as inadequate. At the same time, Canada’s internal politics are squabbling about whether to accept a federal carbon tax, use cap and trade, or impose their own carbon protocols in order to alleviate climate change. As all the proposals so far are based on some form of monetary control/punishment for carbon use, they will probably have minimal if any real impact on global warming. So perhaps this is not so much a double standard as a single standard, being we don’t really care about global warming because it hurts our finances. The double standard returns at the pretence and the rhetoric that the government does care. But again at what cost? And to have to ask at what cost in both these situations highlights the money power orientation of government and business. As long as money is in charge of regulating big business pollution, not much will change. The government is determined to build the pipeline project. This is also regardless of the various Indian bands in B.C. that are against the project and at the same time have never conceded through treaty or sale their rights to their original territories (most of B.C.). Oops, sorry, that would be a third double standard as the federal rhetoric is all about consultation and working with the natives and making them equals in our society, none of which can be truly done when the government insists it will do the project “for the benefit of Canada” and enters any discussion with that mindset. At any rate, back to global warming. Canada signed the Paris accords. Canada says it wants to reduce carbon emissions by such and such a percent by some future date. Canada presents a wannabe green facade to the world, then insists it wants to ship one of the more heavily polluting kinds of oil resources over long distances for – more money. Forget the climate, money matters more. The federal government is not alone. Here in B.C. the provincial government we have a thin coalition of NDP (41) and Green (3) giving them a one seat majority over the Liberals (small “c” conservative). Campaigning on an environmental theme the NDP then decided to proceed with a natural gas pipeline from northeastern B.C. to the coast. Admittedly natural gas is far less polluting than bitumen, however the biggest impact will be with all the fracking that is required in order to obtain the gas. In order to have the gas, the government is willing to frack the landscape, using explosives, a huge amount of water, and using chemicals the fracking companies refuse to identify, all in the name of – more money. What environment? For all its rhetoric, Canadian actions speak much louder than its words. Effectively it puts money ahead of both humanitarian rights and global climate change – and where the two come together with the indigenous rights of the local Indian bands. If Canada was truly concerned about humanitarian rights it would stop selling arms to the Saudis, indeed stop selling arms to anyone (it has a government department set up to facilitate this), and stop wallowing in the wake of U.S. foreign policy. If Canada was truly concerned about climate change, it would not promote the use of bitumen, nor the fracking of the landscape. Finally, if it wants to demonstrate real intent on both these items, it will listen to the wisdom of the indigenous people who do not want their environment, their land and water, destroyed by societies greed for money and power.